Read below for an interview featuring Joe Trelin, SVP, Head of Platform & New Verticals at CLEAR. CLEAR uses biometrics to create a connected world that is smarter and more secure. Prior to joining CLEAR, Joe served in senior roles at Amazon.com, Amazon Web Services (AWS), NBC, IMDb and Standard & Poor’s. Can you give us a quick introduction to CLEAR today? Having spent the better part of my professional career nurturing relationships between big pharma and academia, it’s interesting to observe that there are still areas which are underserved. Case in point, the medical device industry is increasingly finding value in the halls of academia, especially those with powerhouse engineering departments. But who has time to walk the halls looking for PIs who may or may not be open to industry collaboration? Early-stage medtech venture investment is up, driven by digitally-enabled diagnostics. But is the market ready? In my role with the Center for Health Solutions, I spend a fair amount of time researching technology and exploring the impact new medical devices could have on the health care sector. I generally don’t get much first-hand experience with medical devices. That recently changed. When I told my primary care doctor about some odd sensations I had been feeling in my chest, he suggested a remote monitoring device that plugs right into my smartphone. Anytime I experienced this feeling in my chest, no matter where I was, I could put my fingers on the device and it would transmit an EKG reading directly to my doctor. He could then track patterns and get to the bottom of my symptoms. This type of remote monitoring is far more effective at diagnosing arrhythmia than having a patient travel to a doctor’s office periodically for an EKG test—not to mention the time and expense this device could save both the doctor and the patient. Given its potential to more accurately diagnose patients and improve health outcomes, it is not surprising that digitally-enabled diagnostics like this one have been attracting venture capital investments. This week marks the one-year anniversary of a rarity in Washington, DC: enactment of a health care bill with bipartisan majorities in both the House and Senate; support of the Administration; as well as the backing of patients, physicians, hospitals, and the pharmaceutical and medical technology industries. The 21st Century Cures Act, signed into law Dec. 13, 2016, is one of the most significant pieces of health care legislation in recent years. Designed to accelerate the discovery, development and delivery of life-saving and life-improving therapies for patients, the law includes a number of process reforms at FDA to improve the efficiency and predictability of the drug and medical device review processes as well as significant funding for new health care research at NIH. 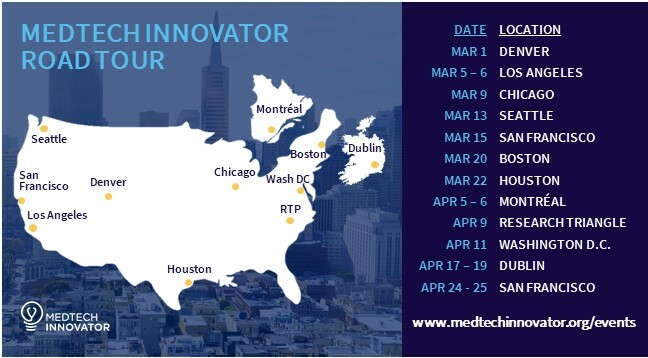 MedTech Innovator, the industry’s nonprofit global competition and accelerator, announced their call for startup and emerging-growth companies to apply to its 2018 competition by the Jan. 26, 2018, deadline. 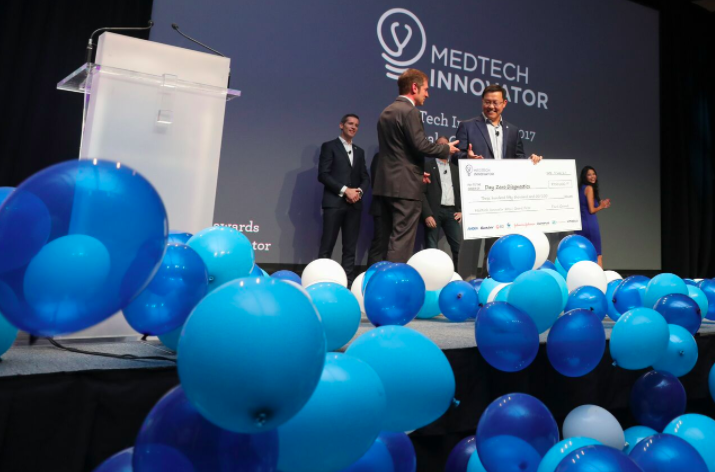 MedTech Innovator will award more than $500,000 in cash prizes and scholarships during the competition. A little less conversation (a little more action) in outcomes-based contracts? 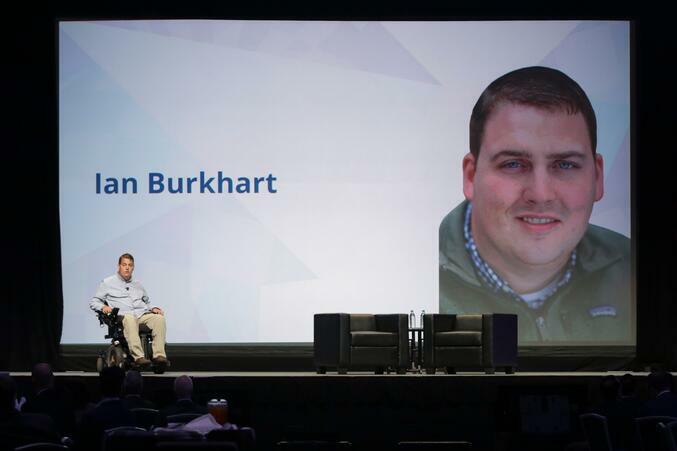 I’m recently back from AdvaMed’s annual conference (The MedTech Conference) where, as always, I was struck by the deep commitment to bring innovation to patients. But innovation is in the eye of the beholder. When it comes to medtech offerings, there are many stakeholders who decide if an innovation is going to deliver differentiated results, and what value is merited in return. We highlighted this in our work with AdvaMed and the industry on Effective Value Assessment. And innovation isn’t limited to devices or technology, or even services – innovation can also include novel contracting and business models.